Here is the end unit, 1 floor living that you have been waiting for! Located on a dead end street, no buildings on the right of the unit and woods in the back! This 2 bedroom and 2 full bath unit has everything you need. Central air, galley kitchen with all the appliances, beautiful marble gas fireplace and the basement is partially framed out for you to finish! Laundry is located on the first floor for your convenience! Back deck has stairs leading to the private backyard and sideyard. 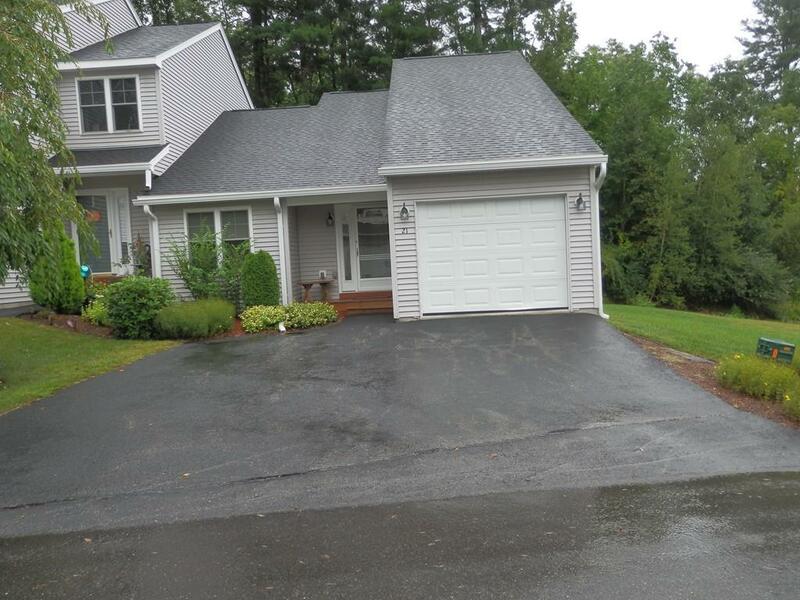 There is a 1 car attached garage and bonus on this unit is 2 side by side parking spaces in the driveway! Beautifully maintained and ready to move right in. Call today for your showing! Seller cannot close until last day of November! Disclosures Seller Cannot Close Until Last Day Of November Firm! 55+ Living Has Been Lifted By The Town Of Templeton!